Mr. Manoj Sinha, Hon’ble Minister of State for Communications Minister of State for Railway, announced that the first ever mobile, Internet and technology event in India — India Mobile Congress 2017 — will begin from today and continue till September 29. 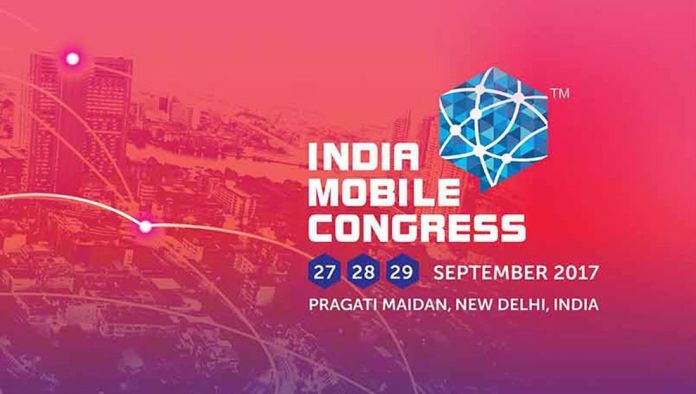 The event, jointly organised by the Cellular Operators Association of India and K AND D Communications, the event will be held at Pragati Maidan in the Capital. “We are proud to say that our country is now hosting its own first ever mobile, Internet, and technology event — The India Mobile Congress. We are hopeful that this will be a huge platform for mobile and internet technology sector in the sub-continent,” Sinha said. “We are expecting a convergence of various thoughts, ideas and views from all corners and involvement of key stakeholders and the government will make this event a huge success,” Manoj Sinha said. The event is designed to cater to business-to-consumer, and business-to-government activities. Experts from the core industry, original equipment manufacturers, and handset manufacturers, among others, are likely to be present. Telecom service providers apart, various start-ups and companies in artificial intelligence and robotics are also there in the line-up. Countries like the US, UK, Sweden, Finland, Germany, Korea, the Phillippines, Bhutan, Japan, and Israel, will also participate. “The ministry has been making concerted efforts to bring affordable and universal access to all of India’s 1.32 billion population and creating success stories in India for the world to emulate. This is a true celebration of Digital India,” Sinha said. “We felt we needed a flagship event in India. In the West we have the Barcelona event (MWC), in the East there is the Shanghai Mobile WorldCongress — but there was nothing of that scale for South-East Asia. This event will serve that purpose,” said Rajan S. Mathews, director general of COAI said, adding that players from India, South Asia, and Middle Eastern countries will get more attention.